Some images i took during the process of making Helena. 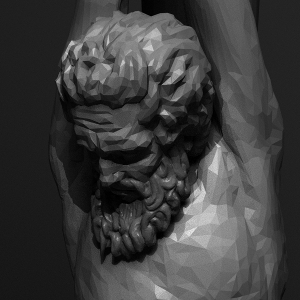 Above is the initial sculpt. I actually have some old footage recording this process. I don’t know if people would be interesting. Above is a screenshot in Blender. Used the Hair module to groom the eyebrows.Below is a proof of concept for the Astronaut suit. Finished model is over in the gallery.